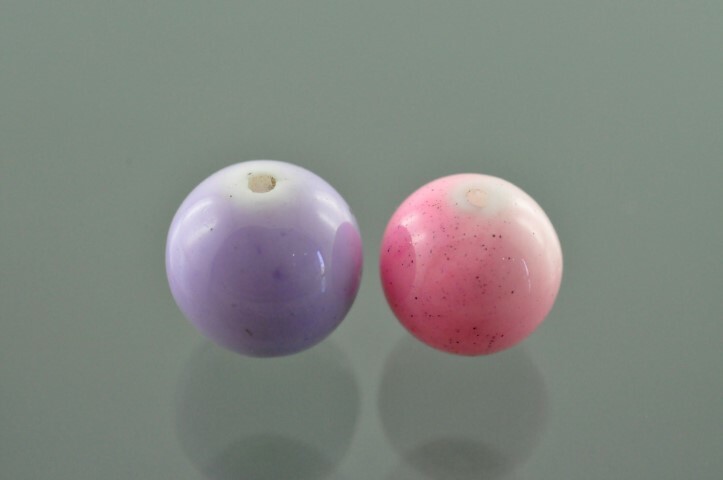 Two opal beads, one violet and one pink were studied, each turning out to be coated with coloured polymers. The presence of dye was detected by observing the microscopic features, absorption spectrum and reactions under ultra violet light, while detection of polymer was based on FTIR analysis. Raman spectra identified these opal beads as opal-C. Recently examined was a faceted rock crystal backed by a slice of turquoise - an obvious but unusual combination of gem materials. The sample was easily identified as composite due to its colour and appearance. From the top, it appeared light greenish blue, from the sides, it exhibited a colourless top and bluish green slice at base. 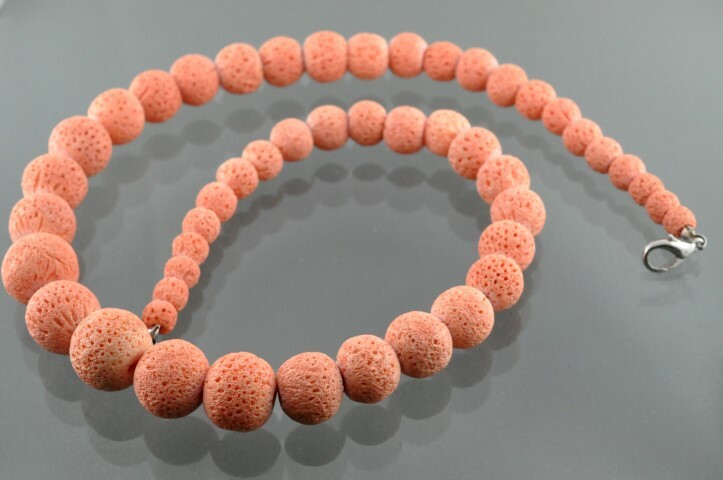 Dyeing white coral to imitate popular colours such as red, orange and pink is a widely known practice. But, a bead starnd examined at the Gem Testing Laboratory in Jaipur India, revealed a colouring method unfamiliar to gemmologists. In the recent times, we at the Gem Testing Laboratory, Jaipur have received numerous opals for identification with unusual body colours such as blue, purple, pink, etc. displaying bright spectral colours on the surface, 'play of colour'. 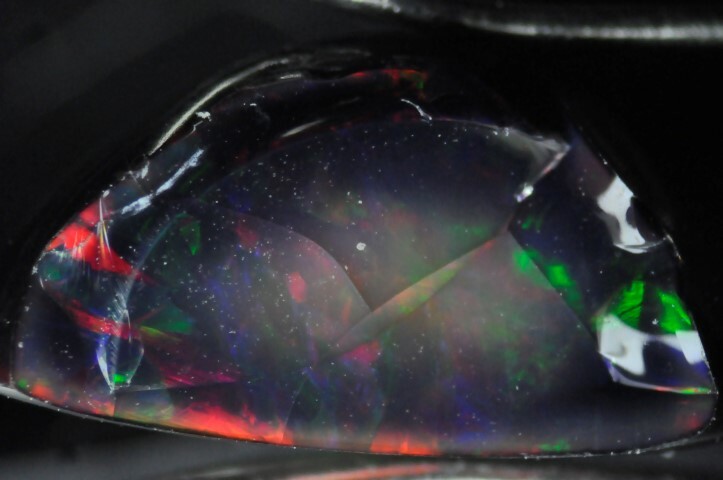 Further, few black opals have also been encountered, which is the most sought after and rarest of the opal varieties. This is because of the fact that dark body colour enhances the 'play of colour' effect, dramatically. While, the best qualities of natural black opal originate from Australia, little quantity is also reported from Honduras; some dark brown material is reported from Indonesia and even Ethiopia. The fancy colours mentioned above were proved to be 'dyed' while the black ones, 'smoke-treated'.